President Trump has been very successful in creating jobs and boosting our economy. In fact, a report earlier this month showed that 3.4 million jobs have been created since election day. Now, there is a push to fill those jobs. The President has issued a proposal and an Executive Order in an attempt to remedy that issue, however, there are hidden dangers that could have a negative impact on the education of our children. Last month, the President proposed his government reorganization plan. 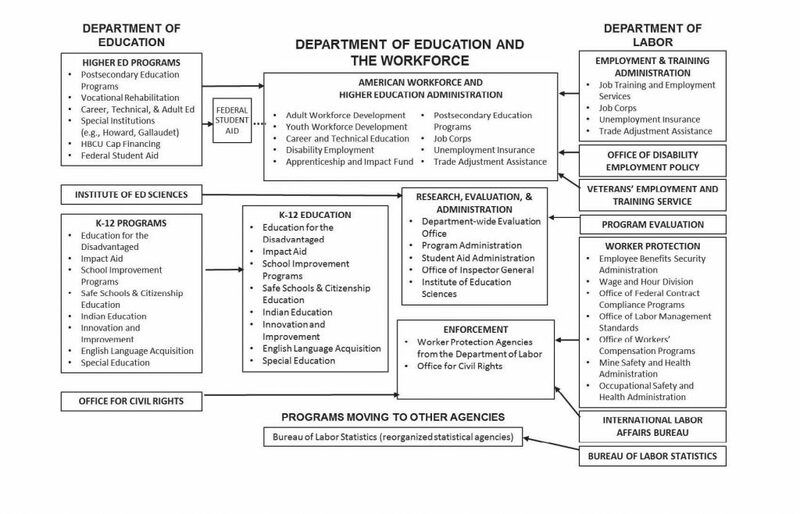 A part of that proposal suggested a merger of the Department of Education and the Department of Labor. Unfortunately, this allows big business to have a say in our children’s curriculum. For years, students have been forced to take tests to put them on a “career path.” The merger will be another way where businesses can use the data that the government collects on students to push them into one career or another. Curriculums and testing will continue to focus on work-ready standards, rather than a classical education. Although it is important for students to be ready for the workforce, they need to be educated about other subjects such as American History. We have seen this subject in particular erased from schools resulting in youth adopting the views of Marxism and socialism. Such a major culture shift is harmful to the freedoms we enjoy today. In addition to this proposal, the President has signed an Executive Order that creates the Council of American Workers. This policy focuses on filling vacant jobs in the blue-collar sector. The expansion and interpretation of data collection will only increase under both this Executive Order and the reorganization proposal. Massive corporations such as Google and Facebook are already tracking us in efforts to predict our next steps. However, even Facebook could not keep our data private forever. Their data breach shows that companies and hackers can get their hands on our information and use it in nefarious ways. It is even more concerning when it comes to the information of minors whose parents never consented to handing it over in the first place. Eagle Forum has voiced concerns over these plans and made the White House aware of how the liberal agenda could take these initiatives in a completely different direction. We will continue to push for policies that give our children the best education.